Located on the South Eastern coast of Africa, this major sea port and tourist destination is set along the beautiful shores of Algoa Bay, and is fondly referred to as the Friendly Eco-City. The city is the second largest city in terms of area and the fifth largest in terms of population in South Africa (1.1 million). The city is also an important centre for the South African motor industry. Temperatures are moderate all year round with rain scattered throughout the year. The summers are warm with a very temperate humidity level. Winters are mild and pleasant, and it is significant that water sports, even surfing, boardsailing and diving, are practised year-round. In all, the visitor soon discovers that the climate is one major contributor to the reputation of the area as offering an outstanding quality of life. 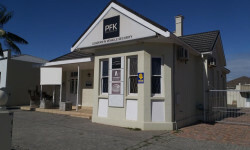 PE has many historical attractions, one the most interesting being the Historic Donkin Heritage trail, which allows the visitor to follow in the footsteps of the 1820 Settlers on their journey of discovery and settlement. this 5 km trail visits 47 historical sites and architectural delights in the Old Hill area of central PE. We provide equal and dedicated service to both our landlords and tenants. For our landlords we will provide reliable tenants, lucrative rentals and high occupancy rates. For our tenants we will provide perfectly situated commercial properties that allow tenants to operate in a profitable and cost-effective way. 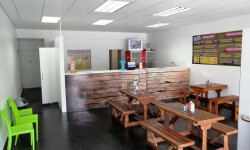 Just Property Port Elizabeth Commercial also incorporates proven, state-of-the-art techniques in specialising in the marketing, listing and selling of commercial properties; and to benefit both our buyers and sellers, we will ensure all transactions are concluded at the best market related prices. We maintain a full-time staff of well-trained professional brokers who strive to provide the best service to all our clients. 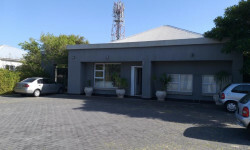 Bloomingdales Office Park, 34 9th Avenue, Walmer, Port Elizabeth, Eastern Cape, 6070. Renting your first place can be intimidating. These tips for first-time renters will help you go out there and flat hunt with confidence.